This morning we will travel to Folkestone to board the Eurotunnel for a quick crossing to Calais. After a short journey we will arrive at our destination, of the picturesque and historic town of Brugge. Upon arrival you will have some time to do your Christmas shopping in the many shops and individual boutiques. You may also wish to visit the local market, where there are a variety of craft stalls and locally sourced produce. Later today, we will retire to our four star hotel, where you are able to have dinner if required, or alternatively, once changed you can choose to have dinner in one of the many local restaurants. After breakfast, we head back to the centre of Brugge where you will have some free time to wander the cobbled streets, sample the local chocolates or even take a sightseeing canal ride through the city centre. 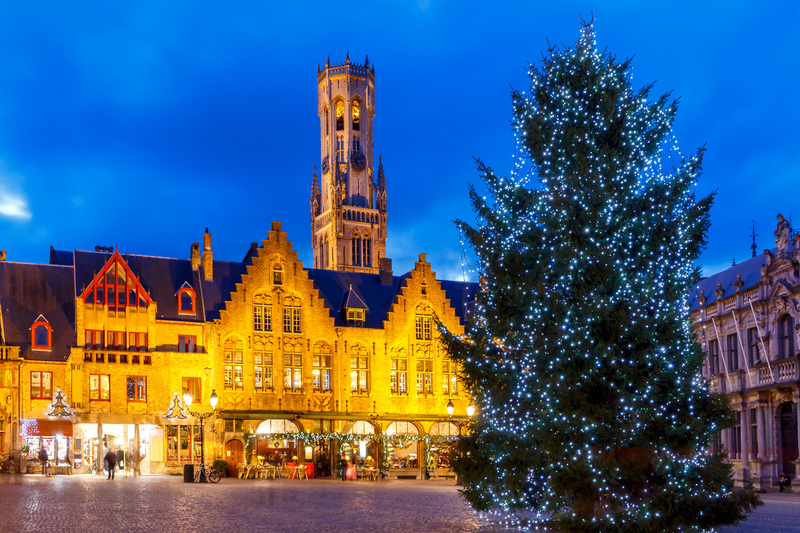 We then depart Brugge and make our way back to the Eurotunnel, stopping en-route at one of the many French wine warehouses, where you will have the opportunity to stock up ready for Christmas and New Year. Later this evening we will arrive back in our local area. This excellent 4 star hotel, 2.5 km from the centre of Brugge, and boasts high standards and quality in a comfortable setting. The hotel is well decorated in Scandic Design, a mixture of classic and modern architecture, set in a park. All 120 rooms have air conditioning, hairdryers, satellite TV, mini bar and safe, and there is a gym and Scandinavian Sauna to relax in. The brasserie ‘Ter Poele’ has a welcoming fire with comfy sofas.